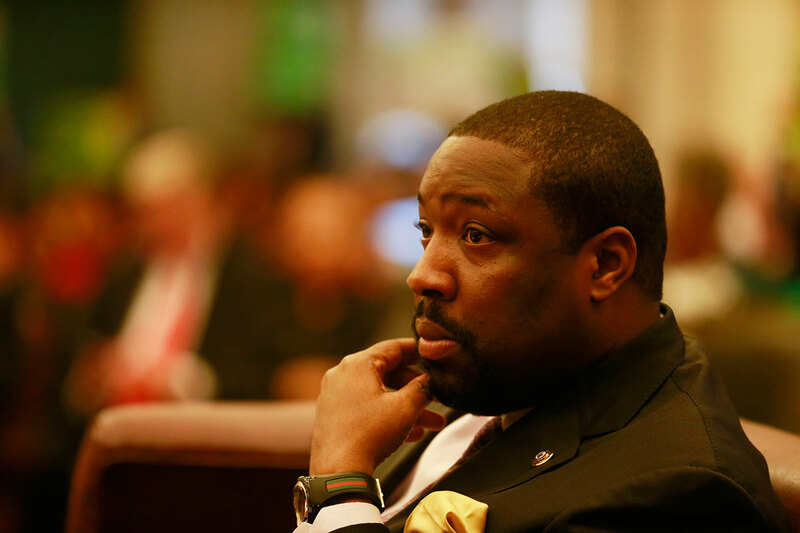 Earlier this week, 36th ward committeepeople voted in 2nd District Councilman Kenyatta Johnson as the new 36th ward leader, replacing Harold James, who said he was stepping down due to health problems. Max Marin at Philly Weekly reports Johnson is one of 15 Democratic elected officials in Philadelphia who also serve as ward leaders. These doubly elected officials represent a range of offices: State Sen. Anthony Williams, State Sen. Larry Farnese and State Rep. Angel Cruz; Ron Donatucci, who is the Register of Wills, City Commissioner Anthony Clark, and City Controller Alan Butkovitz. Johnson joins the company of fellow Councilmembers Bobby Henon, Bill Greenlee, and Jannie Blackwell, who are also ward leaders in their respective districts. Former Councilwoman Marian Tasco remains a highly influential ward leader as part of the Northwest Coalition, which played a big role in getting Mayor Jim Kenney elected in 2015. As Marin points out, this is all kosher with regard to the state's prohibition on elected officials holding two offices, because the ward leader role is an unpaid, volunteer position. But that doesn't mean there aren't good reasons why we might not want an elected official--and especially a City Councilmember--to be a ward leader. We've been writing a lot about how important ward organizations are for getting out the vote. Ward leaders endorse candidates and raise money for get-out-the-vote operations for those candidates, which is why their endorsements can pack a real punch. Returning to the specific situation in the 36th ward, now that Councilman Johnson (officially) controls the local political organization in Point Breeze, he'll be able to raise money into what will essentially be an auxiliary get-out-the-vote fund supporting his own reelection efforts--which won't be counted toward his official campaign fund. Point Breeze is the major voting block for Councilman Johnson in the 2nd Council District, and even before Monday's vote, it was virtually impossible to imagine that the ward would endorse a candidate other than Johnson in the 2019 primary. But now that Johnson is the official ward leader, it's a certainty. Who would vote against the sitting Councilman when, in all likelihood, they'll have to continue working with that person going forward? But besides those political considerations, the fundraising aspect is genuinely troubling. Johnson will need to raise money for the 36th ward's PAC to support candidates who the ward organization endorses. The 36th isn't an open ward--meaning the ward leader tends to unilaterally choose the candidates the ward supports, instead of the committeepeople who are elected by voters on the ballot. So Johnson will be raising money for the 36th ward organization, he'll be unilaterally endorsing candidates for judicial races and other elections, and one of the candidates he'll be unilaterally endorsing, and spending the ward's money to elect, will be himself. Contributors who want to curry favor with Johnson can now write two checks--one to his official campaign fund, and one to his unofficial campaign fund in the 36th ward PAC. And it won't be counted against his legal fundraising limits. There are limits on how much candidates' campaigns can coordinate with ward PACs, of course, as Councilwoman Maria Quinones-Sanchez discovered in the LEAD PAC ethics case, but the dual role still leaves plenty of opportunities for a ward leader Councilmember to project political power in ways that aid their reelection efforts. None of this is to single out Johnson, who just happened to make the news this week. It's just a great illustration of how the ward system can, and does, serve as a powerful force for incumbent protection.